Our primary officiant, Rev. 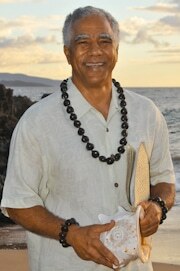 Joe Miles, is a Maui resident of more than 35 years. He as been performing wedding ceremonies since 2005. He considers it a privilege and deep honor to share in this very special and intimate occasion in couples lives. His delivery of the ceremony is spontaneous, genuine, and heartfelt, and he adds something to every ceremony to make it uniquely your own. He will blow the conch shell if requested. Rev. Joe welcomes couples from all over the world of any race, religion, and sexual orientation. Rev. 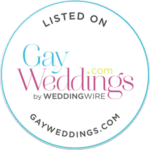 Joe offers your choice of 3 wedding ceremonies and 2 vow renewal ceremonies. You will be emailed a ceremony questionnaire with your confirmation documents with which he will customize your ceremony. View VIDEO DEMO of Rev. Joe’s wedding ceremony. Keep in mind that this particular ceremony was customized by the couple and has been edited in length. Video by Brian.